The beds for each child are built-in on either side of the structure, giving each child their space, as well as their own desks, each with a window. 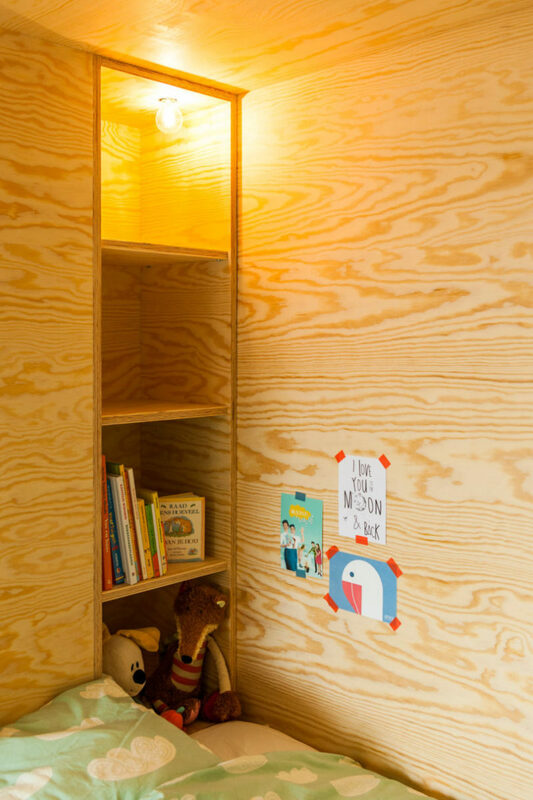 A small multi-level shelf has been built into the structure beside the beds, and they act as a place for a night light, as well as a spot for favorite books and toys. 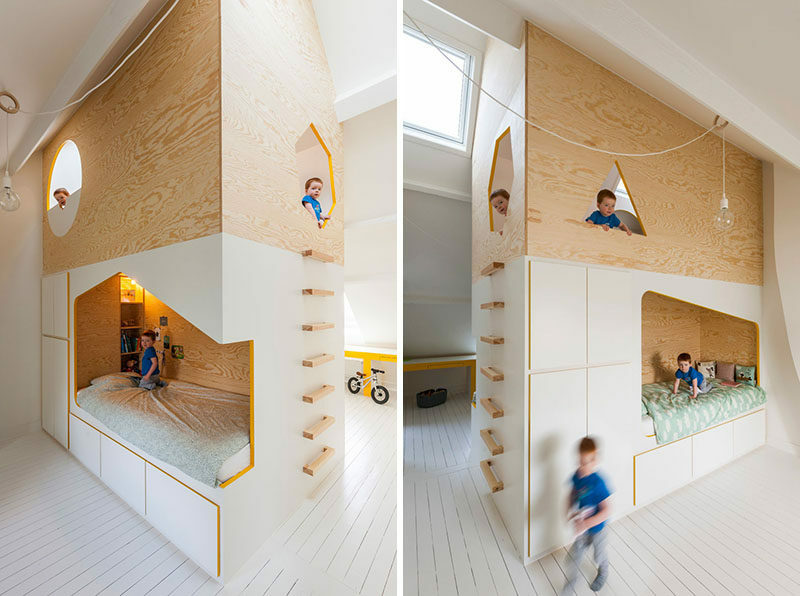 Between the two sides of the design is a ladder that leads up to a lofted play space. Cut-out shapes act as windows and look out to the rest of the bedroom.